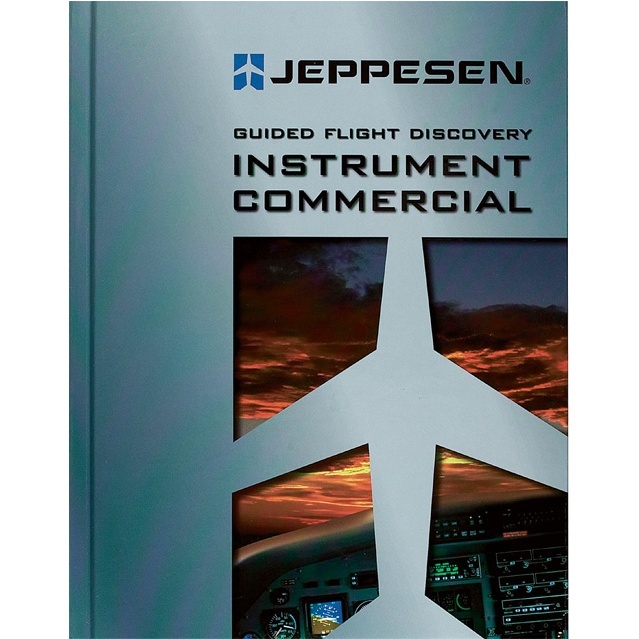 Jeppesen's Guided Flight Discovery Instrument/Commercial Manual provides the most complete explanations of aeronautical concepts for professional pilots through the use of colorful illustrations and full color photos. Jeppesen's Guided Flight Discovery Instrument/Commercial Manual provides the most complete explanations of aeronautical concepts for professional pilots through the use of colorful illustrations and full color photos. This primary source for initial study and review includes Principles of Instrument Flight, The Flight Environment, Instrument Charts and Procedures, Aviation Weather and IFR Flight Operations and Commercial Pilot Operations, as well as an introductory look at Building Professional Experience. The most comprehensive and visually appealing Instrument/Commercial Manual ever!